Caption slip reads: “Photographer: Lou Mack. Date: 1954-12-22. Reporter: S. Dunn. 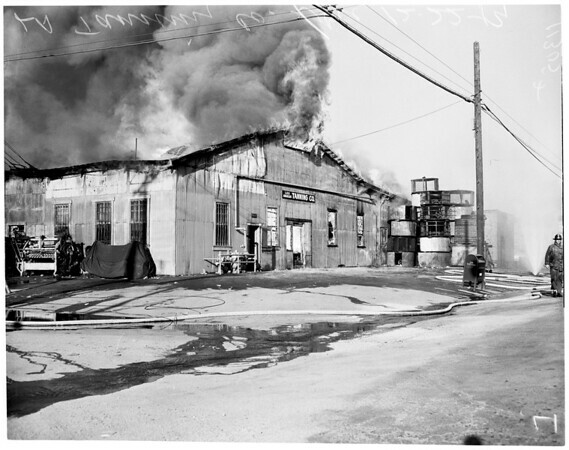 Assignment: Fire, LA Tanning Co., 4101 Whiteside St. Gen. views of firemen. Two firemen rush US mailbox out of danger, with Xmas cards na tcherly(?? )”.